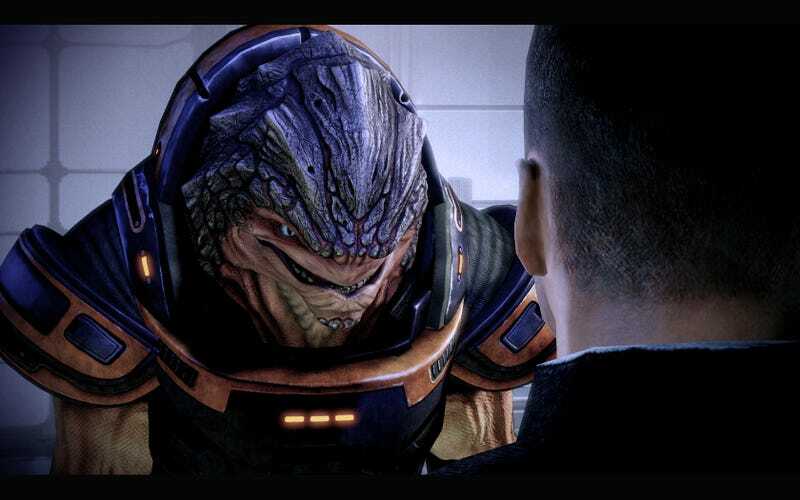 A man by the name of JeanLuc761 has made a high-resolution texture pack for Mass Effect 1 & 2 that takes the series' relatively-muddy original textures and puts them on the galactic scale they deserve. If you like, you can stare into Shepard's face at 2048x2048 or, if you'r rather 4x the clarity of the vanilla game, 4096x4096. If you were wondering how Dead End Thrills' Duncan Harris got his ME2 screens looking so sharp last week, well, now you know. You can download the mod at the link below.